Another home sold by Mizner Grande Realty, waterfront home sales and marketing experts. SPECTACULAR 3 bedroom, 4 bath home on the El Rio Canal in the desired subdivision of Camino Gardens. 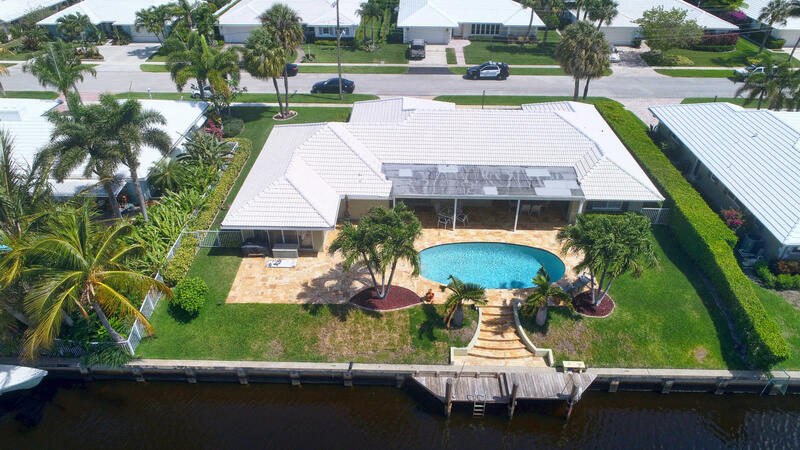 VERY light, bright and airy on OVERSIZED lot with intracoastal and ocean access. Two a/c units and boat dock only 6 months old. Gorgeous 20'' porcelain tile on a diagonal in all the bedrooms-upgraded kitchen with granite countertops and solid wood cabinets. This home has BOTH a living room AND a family room-2 master suites-one of the largest homes in Camino Gardens with close to 2,700 a/c square feet-south exposure on the pool-huge rooms. Only 1.5 miles from the ocean. Extremely LOW HOA fees of only $25 monthly. Amazing travertine marble on the walkway and on the patio. The family rooms opens to the patio and pool which is perfect for entertaining. Zoned to the best A rated schools. This stunning home didn't last long! Are you considering selling your luxury waterfront home in South Florida. Don't leave that important job to just anyone. Ari Albinder at Mizner Grande Realty in the area's top marketer of fine homes in South Florida. He has the tools, skills and connections to get your home sold.